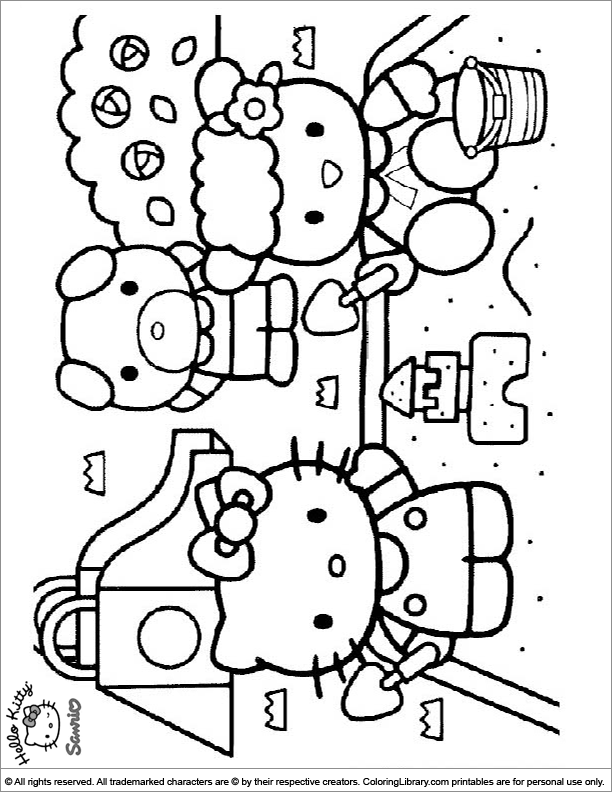 Have fun and enjoy this Hello Kitty coloring page free! Ask your friends to come over and join in with the coloring fun. And remember, express yourself freely, color outside the lines if you want and choose any color want, because there is nothing more fun than your own imagination! Find many more of the popular free Hello Kitty pintables in the Hello Kitty Coloring Library.